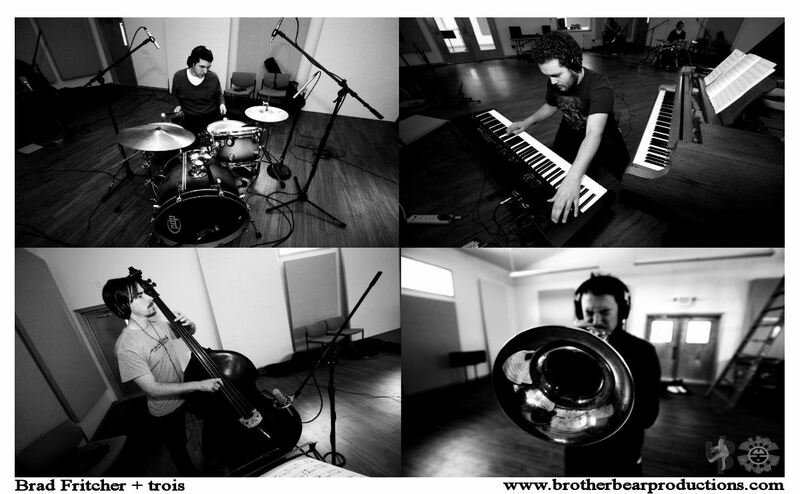 Brother Bear Productions: A New Age in Media Management: BBP Presents: Trumpet Lessons by West Mitten Jazz Musician, Brad Fritcher of the jazz quartet BF + trois! BBP Presents: Trumpet Lessons by West Mitten Jazz Musician, Brad Fritcher of the jazz quartet BF + trois! 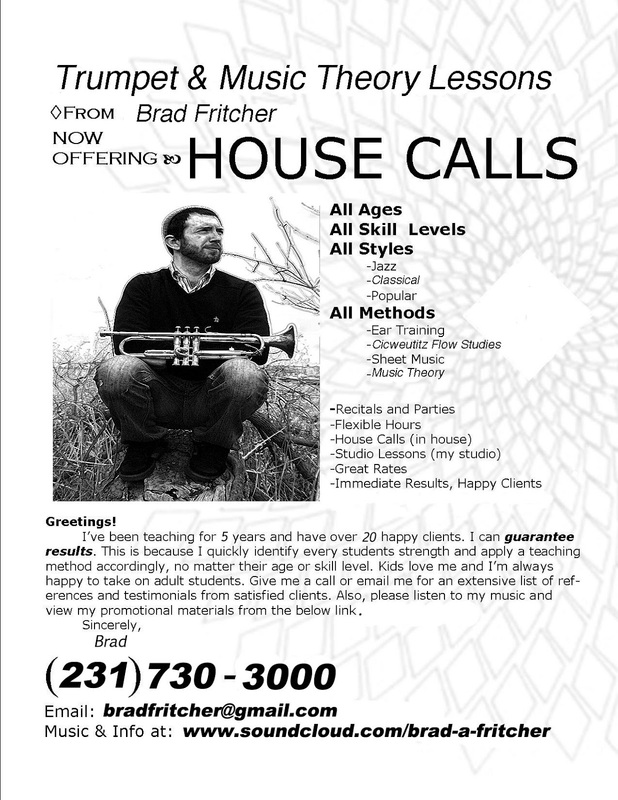 Trumpet lessons by West MI Jazz Musician, Brad Fritcher of the jazz quartet Brad Fritcher + trois! Brought to you by Brother Bear Productions. Lessons are on a first come/first serve basis. We welcome all ages, from beginners and up. Thank you for your time and interest in trumpet lessons. at an affordable price by one of Michigan's rising jazz artists. 0 Response to "BBP Presents: Trumpet Lessons by West Mitten Jazz Musician, Brad Fritcher of the jazz quartet BF + trois!"